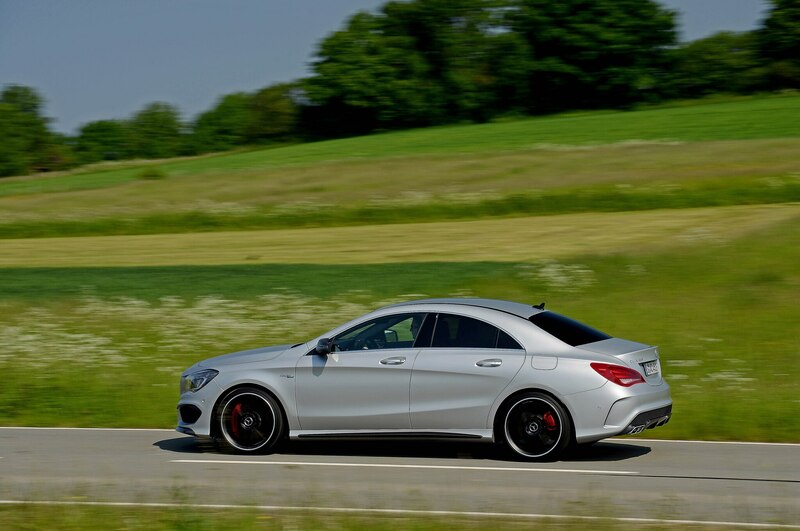 A petite two liters, a pumped 26.1 pounds of boost, 355 horses — the engine specs of the 2014 Mercedes CLA45 AMG conjure vivid images of short fuse, Evo-style turbo upchuck. 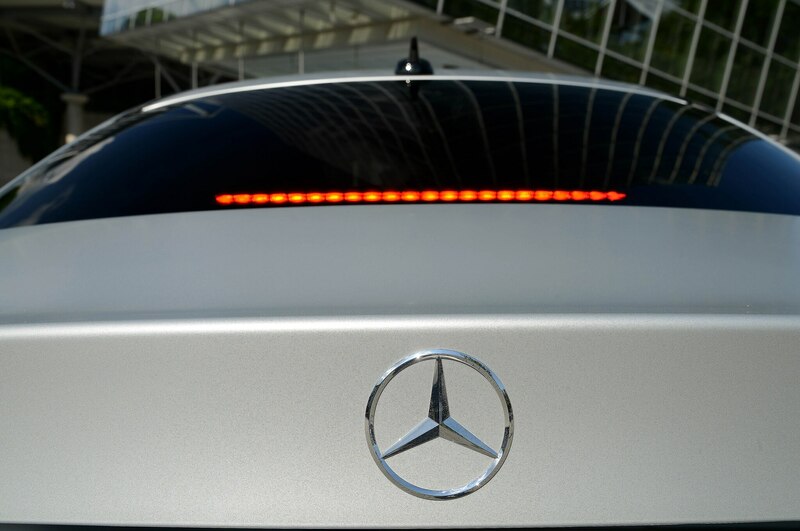 The Mercedes is nothing like that. 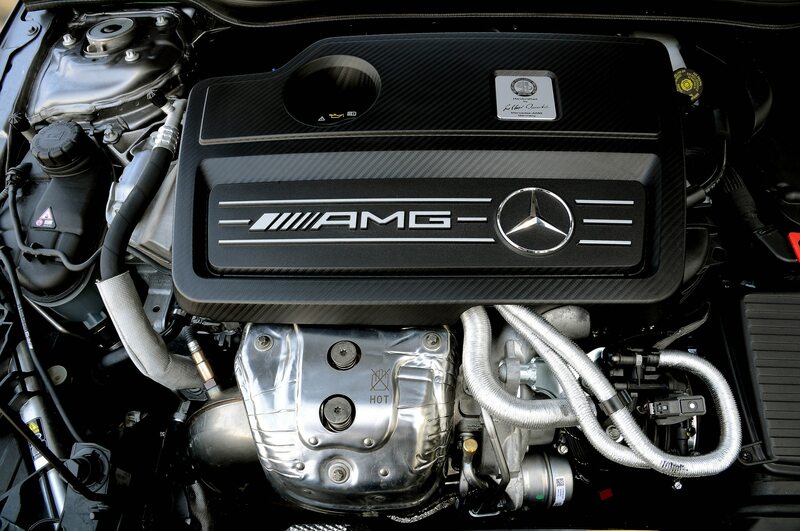 It’s also nothing like the eight-cylinder C63 AMG, the closest Benz currently gets to speed-jacked juvenilia. 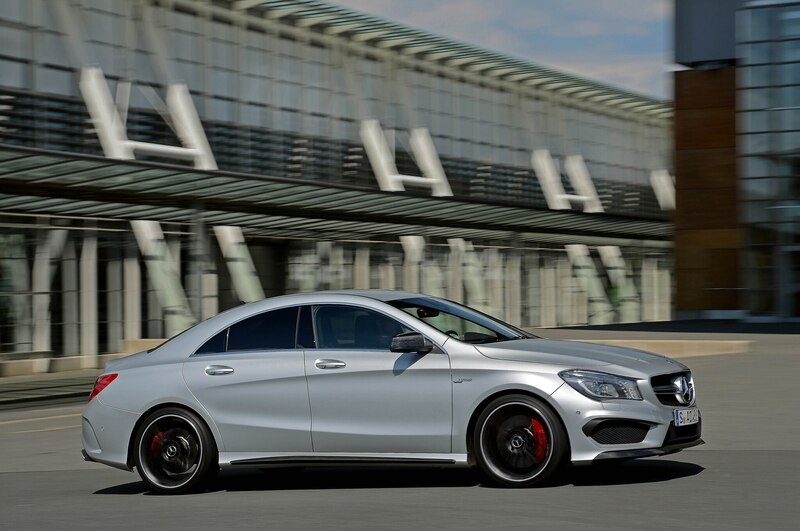 Oh, the CLA45 AMG is fast all right. 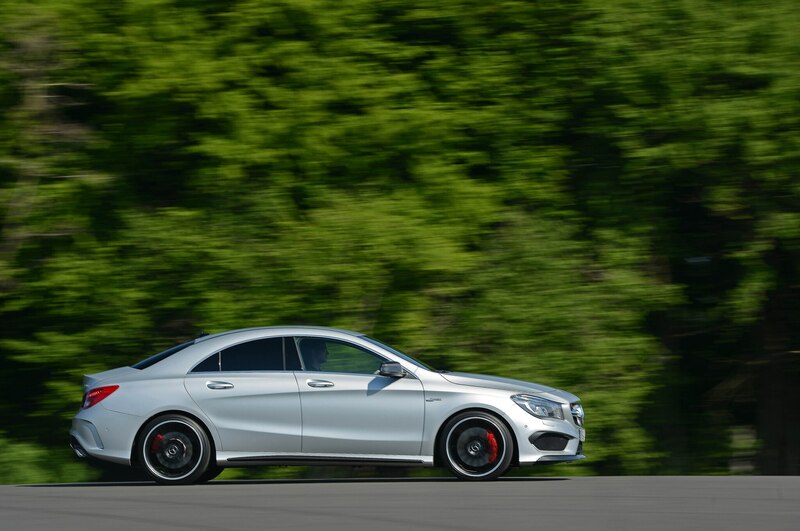 A Race Start function and all-wheel hookup conspires to slay 60 mph in about 4.5 seconds. 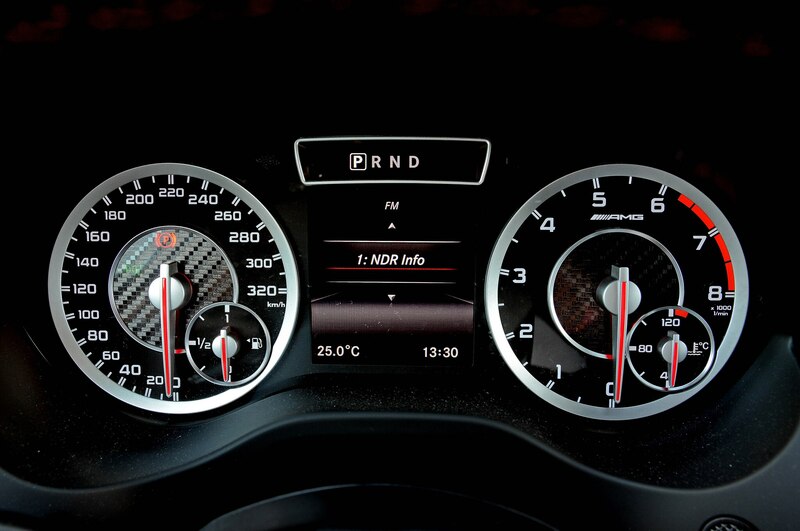 Top speed is the familiar electronic curfew of 155 mph, or 250 kph, which the Mercedes efficiently translated during a German autobahn blitz from Hannover. 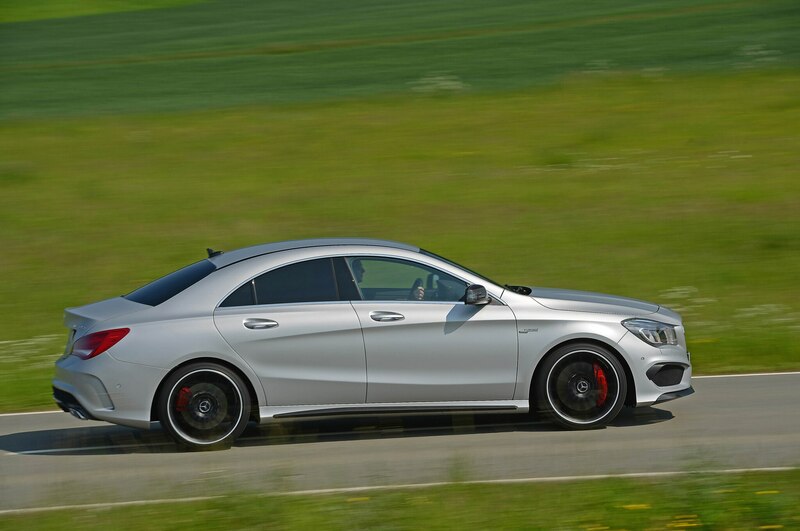 But if you can even imagine a subtle 355-horsepower compact, the CLA 45 is it. And that’s exactly how the AMG brain trust wanted it. 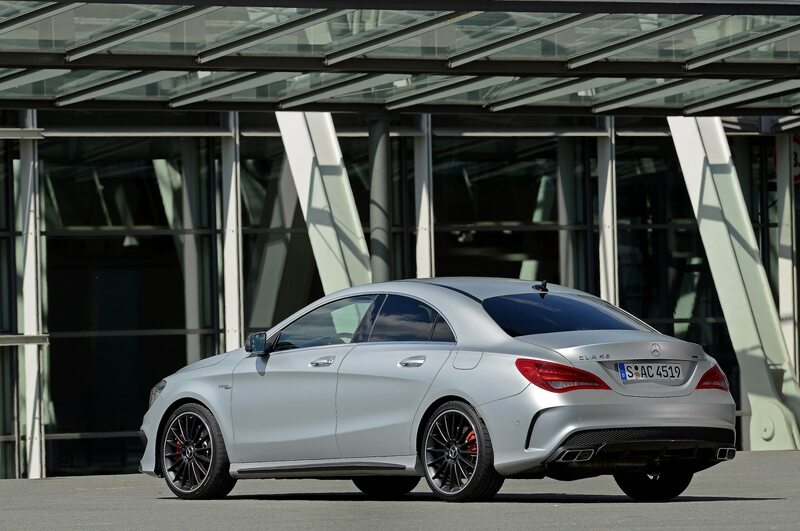 Steady streams of torque, do-it-all electric steering, and a discreet seven-speed, dual-clutch automatic add up to another AMG that makes mincemeat of curves and speed limits — but with express efficiency, rather than the yippee-ki-yay of the rear-drive C63. 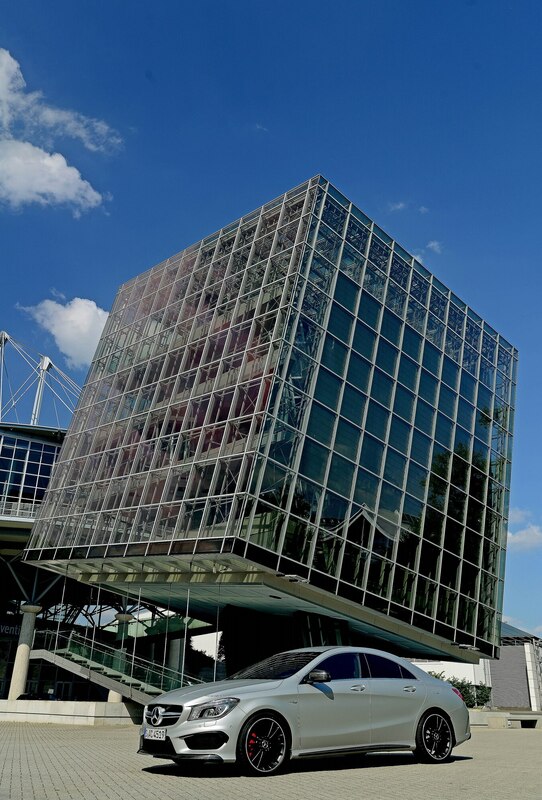 The engine’s Guinness-level achievement is already documented: The most powerful production four-cylinder in automotive history makes 177.5 horsepower per liter. A single turbocharger helps achieve those improbable heights — along with 332 pound-feet of torque — squeezing hot exhaust gas with the signature efficiency of its twin-scroll design. As ever, a lone AMG craftsman assembles this M133 engine and its Piezo fuel injectors, forged pistons and crankshaft. With up to five fuel sprays per cycle, the engine already meets 2017 Euro 6 emissions regulations. An engine stop/start system saves fuel, as does routing power to front wheels only in standard operation. Bossed by a wheelslip-sensing electronic brain, the rear differential’s electro-hydraulic clutch grabs the spinning two-part propshaft to steal up to 50 percent of torque for rear wheels. 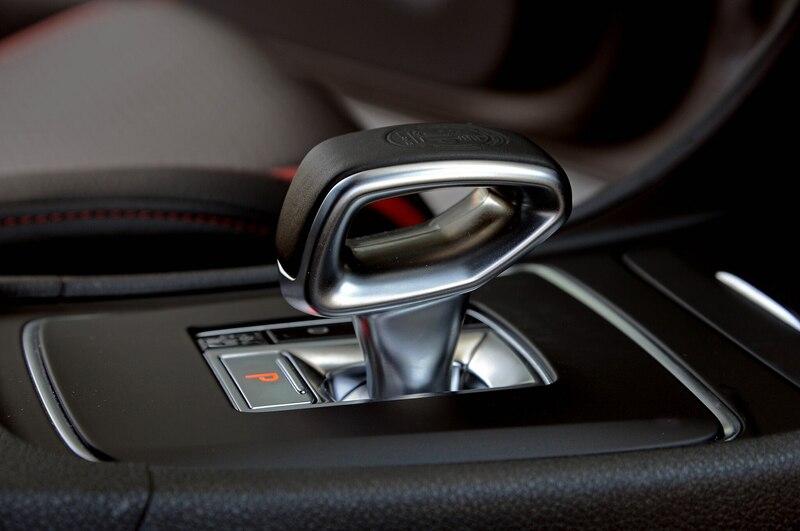 That handoff is managed by a lightweight power takeoff unit (PTU) integrated in the front-mounted transmission. 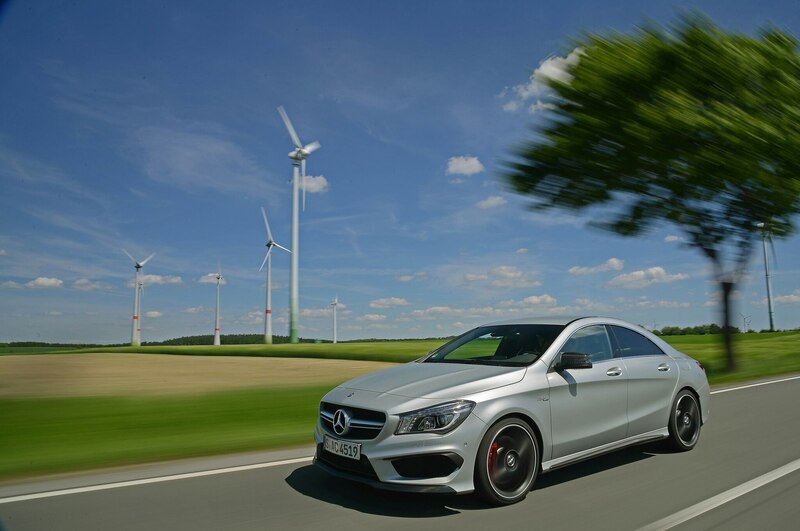 In practice, the lightning-fast AWD system completes the standard CLA’s transformation: No amount of throttle mashing can elicit a trace of front wheelspin or torque steer. Drive power is also diverted to tame oversteer or understeer, prior to intervention from the three-stage stability system. 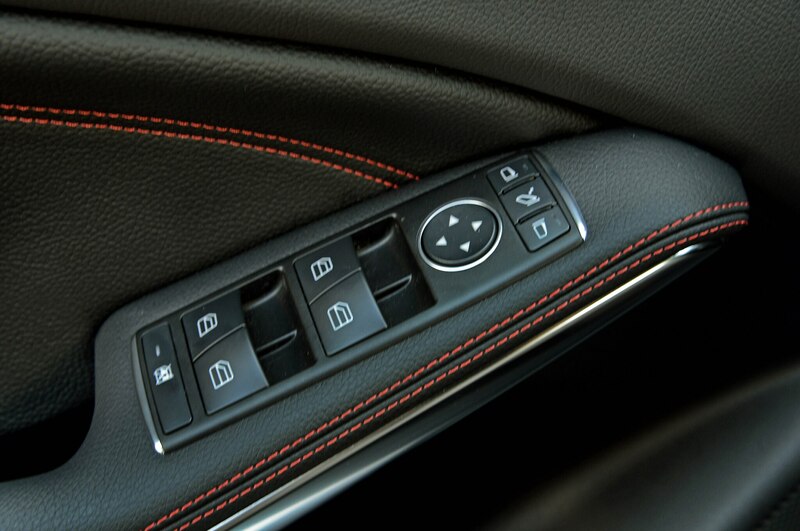 The latter includes a Sport Handling mode that sends more power sternward and judiciously taps rear brakes to help rotate the car. 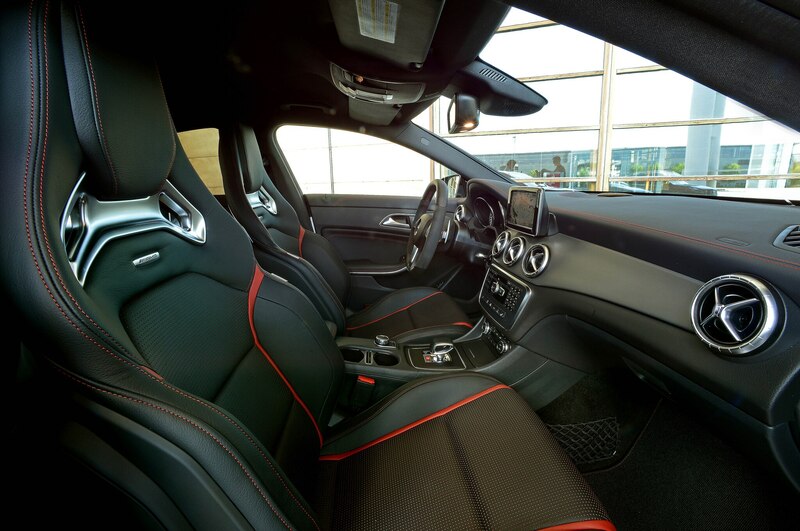 Mercedes claims shift times on par with the SLS AMG supercar, though the dual-clutch box can still feel laggardly in automatic mode. 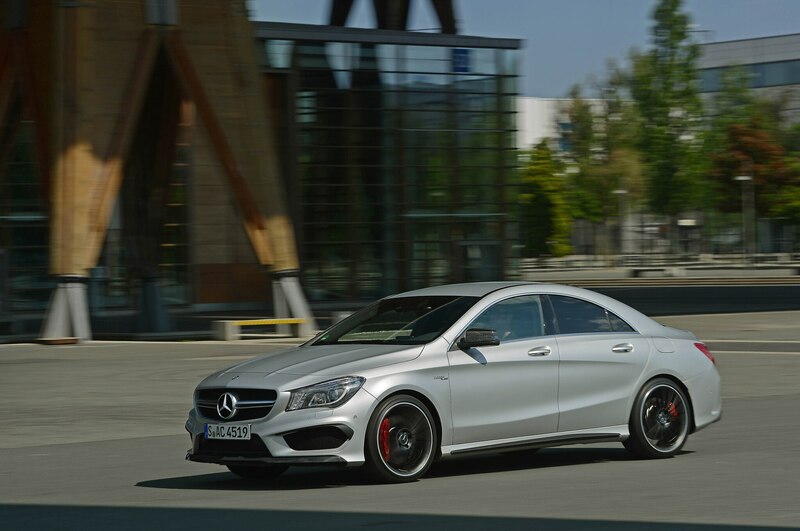 In an upgrade from the standard CLA, the “M” manual mode precludes automatic upshifting. And a “double declutch” function instantly cuts ignition and fuel to produce welcome, yet incongruous exhaust backfires when downshifting the tiny engine. 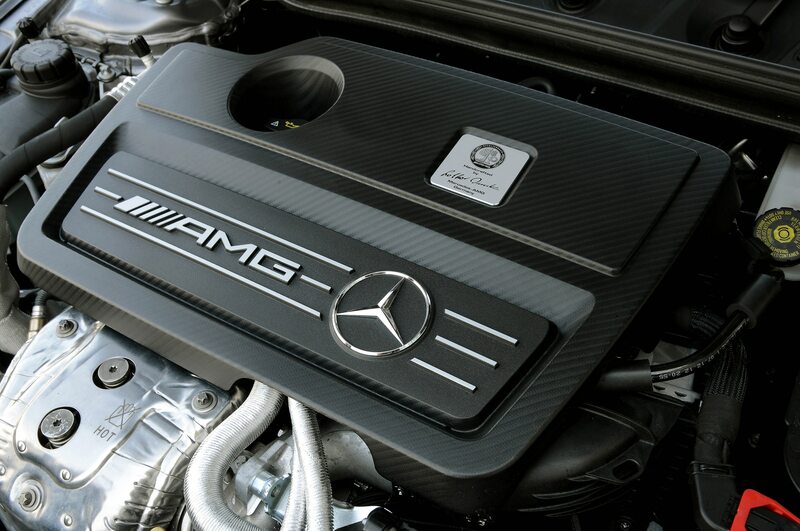 From within, the engine note is cloaked and surprisingly deep-pitched for a four-cylinder. 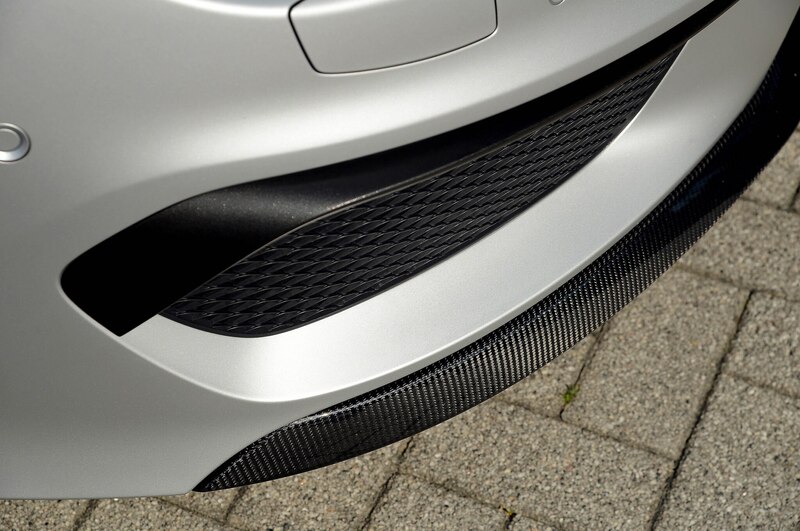 From outside the car, a dual-flap Sport Exhaust releases a generous dose of gassy burp and brap, especially in its extra-cost Performance guise. Re-engineered MacPherson front and four-link rear suspensions include stiffer steering knuckles, unique bushings, added negative camber, firmer springs and dampers and enlarged anti-roll bars. The rear subframe directly mounts to the bodyshell. 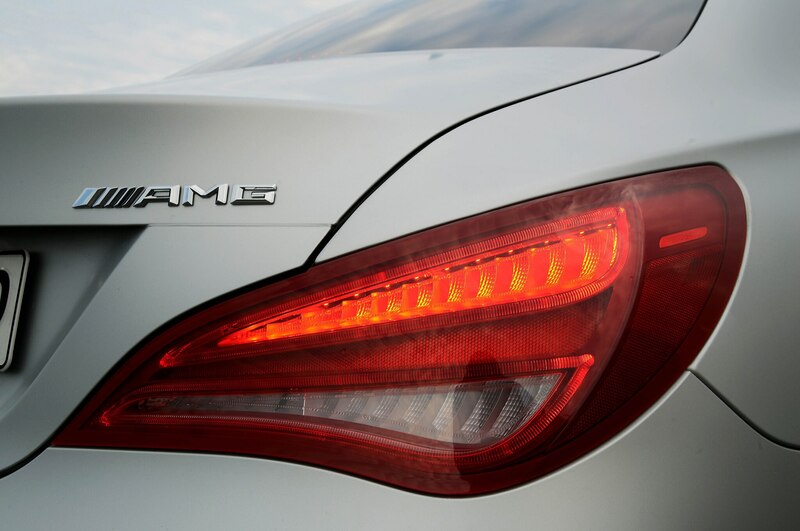 An even-stiffer AMG Performance Suspension is an upgrade. That speed-sensitive steering also automatically counters oversteer and corrects during braking on dual-coefficient surfaces. 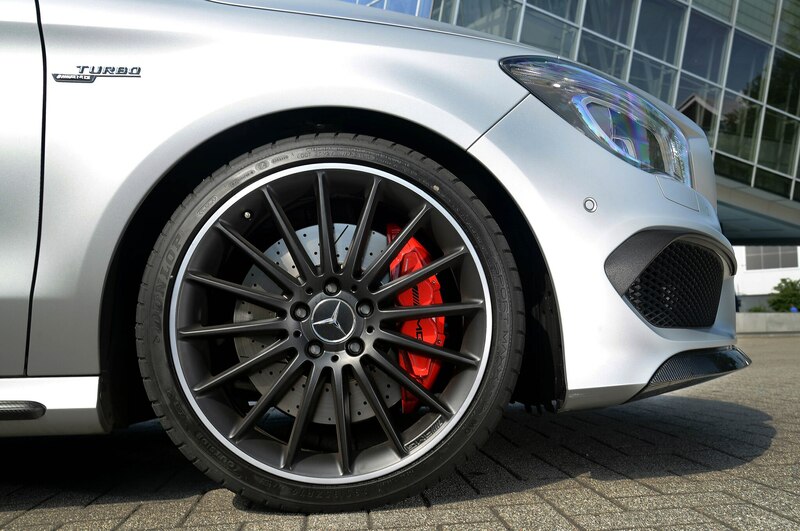 Mighty AMG brakes, cross-drilled and vented, feature fire engine-red calipers, four-piston up front and single-piston rear. Eighteen inch alloys are standard, with 19-inchers optional, including a fine matte-black set. 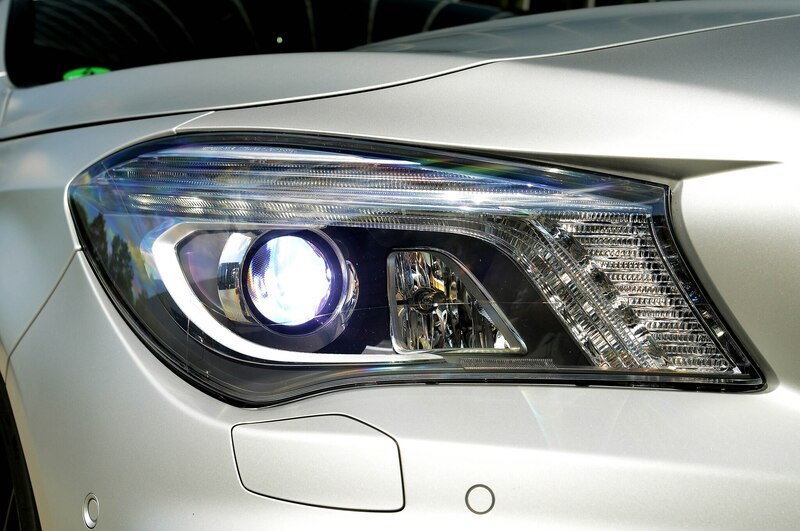 Starting from a basic CLA250 that’s already more scalloped and striking than the larger C-class, the AMG makeover — including Xenon headlamps and the usual array of exterior and interior jewelry — only amplifies the CLA’s voluptuous appeal. 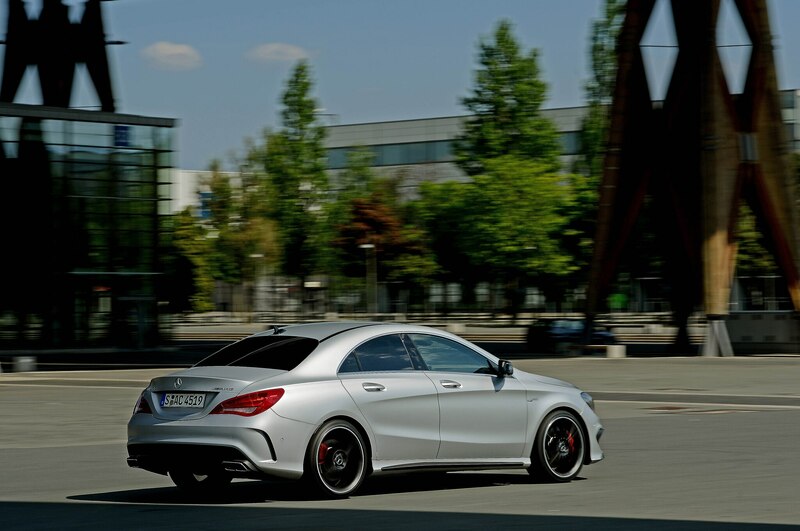 The rippling hood and abyss-deep air inlets, the plunging roofline, the teasing arabesque of the taillamps — it’s all so handsomely rendered as to make one overlook the CLA’s practical sacrifices. 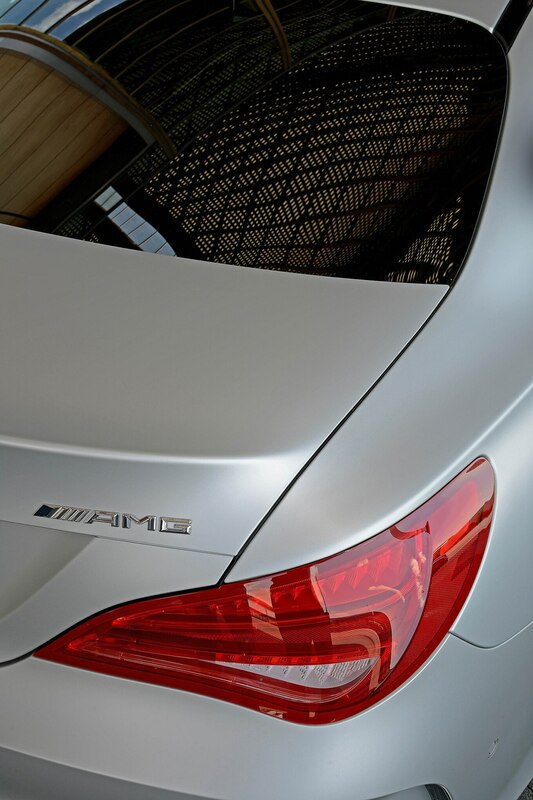 The limbo-low roof hampers entry and exit, and creates a sarcophagus-like view from the sculpted back seats. 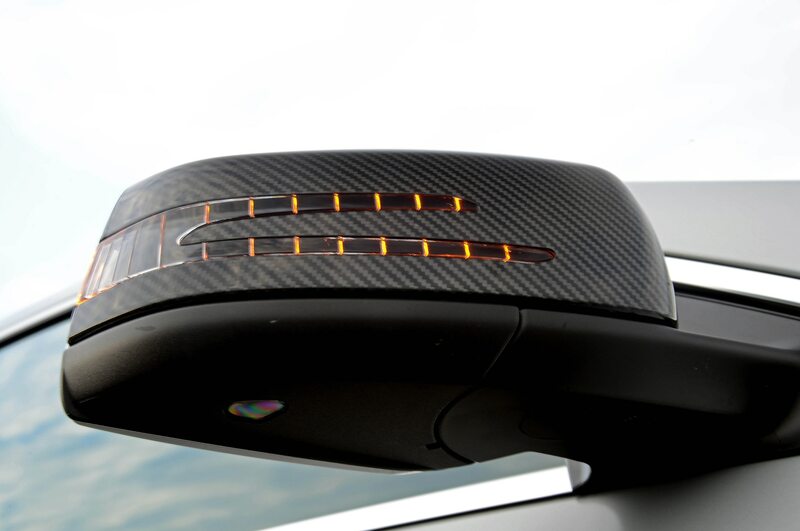 Optional performance buckets, red-striped and ready to accept racing harnesses, are as aggressively firm as anything Benz has done. 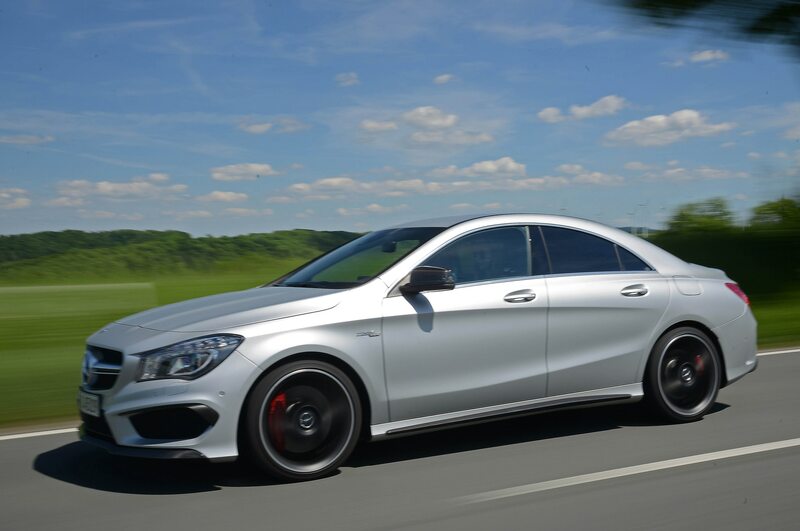 Either version is wrapped in “man-made leather,” one suggestion that the roughly $17,500 premium over a CLA250 — with the AMG on sale in November at $48,375 — was applied more to performance than perks. 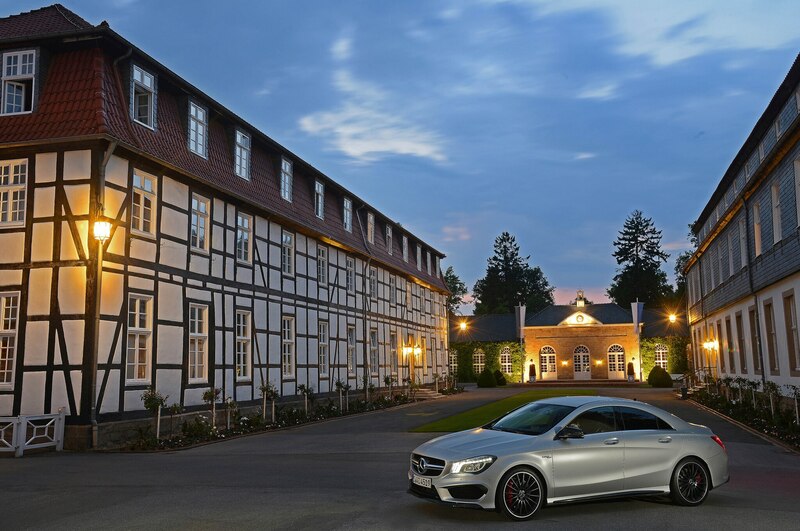 That performance came alive at the freshly opened Bilster Berg Drive Resort in Bad Driburg. Designed by renowned Formula 1 track architect Hermann Tilke, the forest-ringed track features 19 turns, with cool names like Mutkurve, or Courage Corner, and Mausfalle, the Mousetrap. With 44 hillcrests, several blind corners, and 200 meters of elevation change, this mini Nurbürgring brings die Puckerfactor in a big way. We spent more than 20 delightful laps chasing a pro-driven SLS, and the CLA 45 revealed itself as an agile, legitimate track tool. First, this pocket Hercules weighs 3,494 pounds, about 400 pounds lighter than an Audi S4, and 320 lighter than a BMW 335xi. 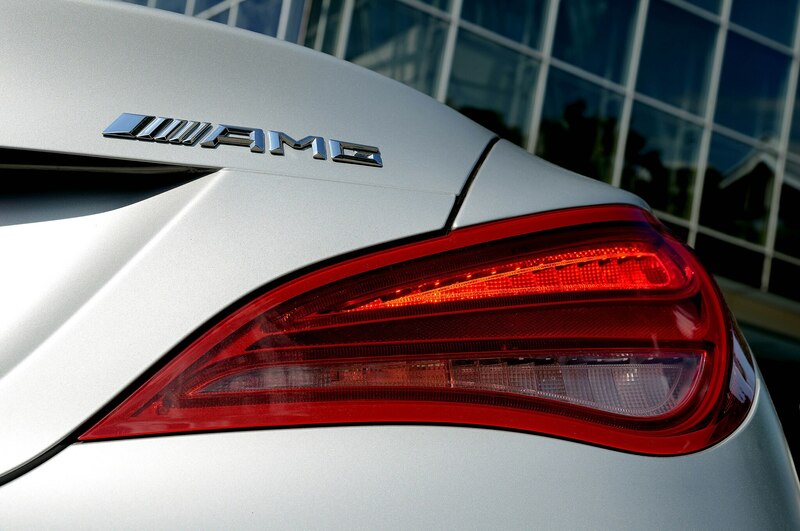 And the AMG carries more horsepower and torque than either. 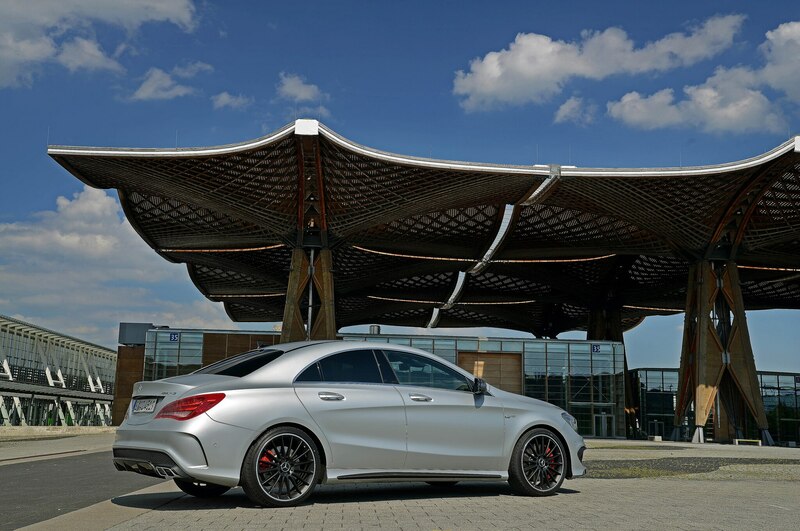 Mercedes swears on a stack of Gutenbergs that the CLA45, guided by an AMG Academy pilot, lost just four seconds a lap to the brutish SLS — a supercar with more than three times the displacement — through Bilster Berg’s 4.2-kilometer amusement park. That seemed about right. 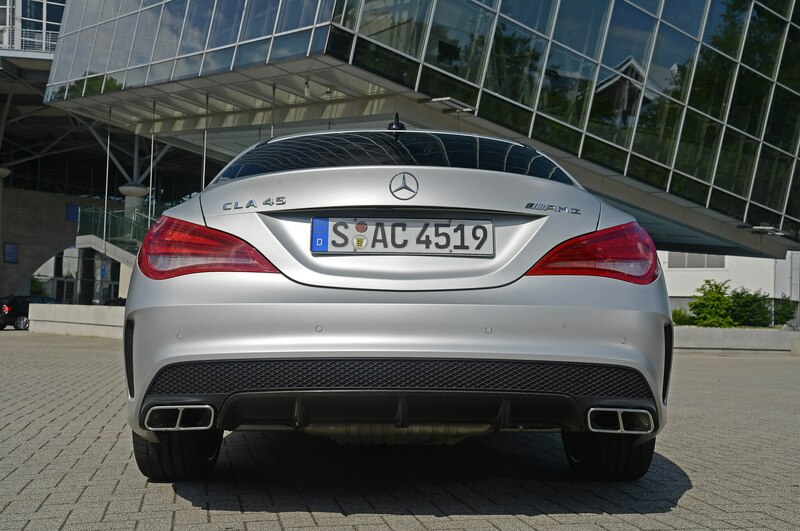 Powering through a thrilling off-camber downhill, the CLA45 virtually matched the SLS’ sheer grip as both cars tracked out to the candy-striped curbing. 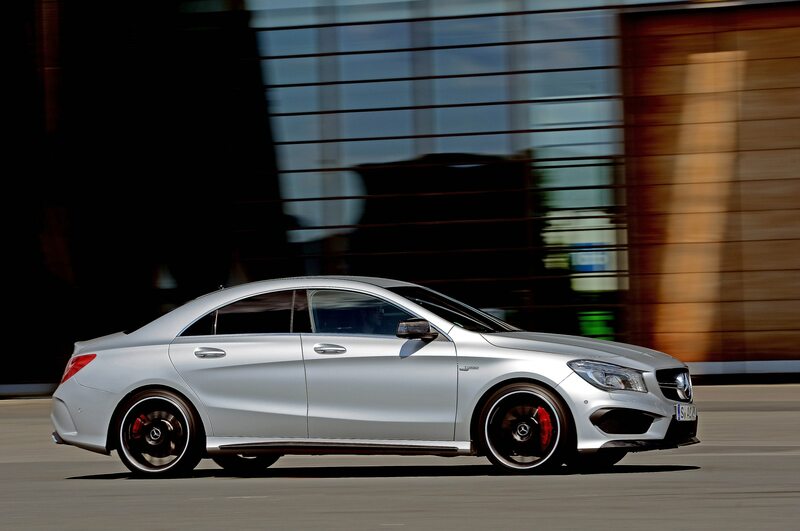 Driven harder, the CLA’s rear-wheel assists came into relief, allowing swift, fearless recoveries from neutral slides. And the brakes are fantastic, showing less fade over hours of abuse than in chunkier AMGs such as the E63. 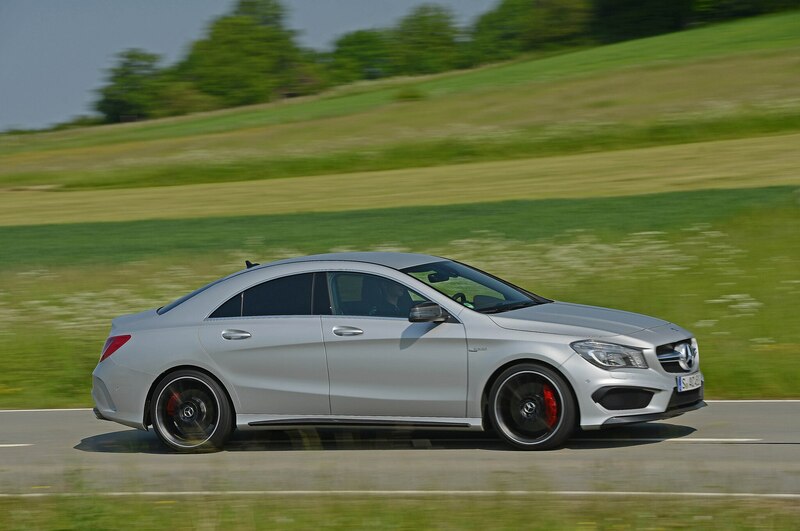 Torque peaks and holds between 2,250 and 5,000 rpm, but a driver must work to keep the CLA in its steroid-pumped sweet spot; Mercedes claims the engine maxes out at 6,700 rpm, but 6,300 was more like it in real-world operation. 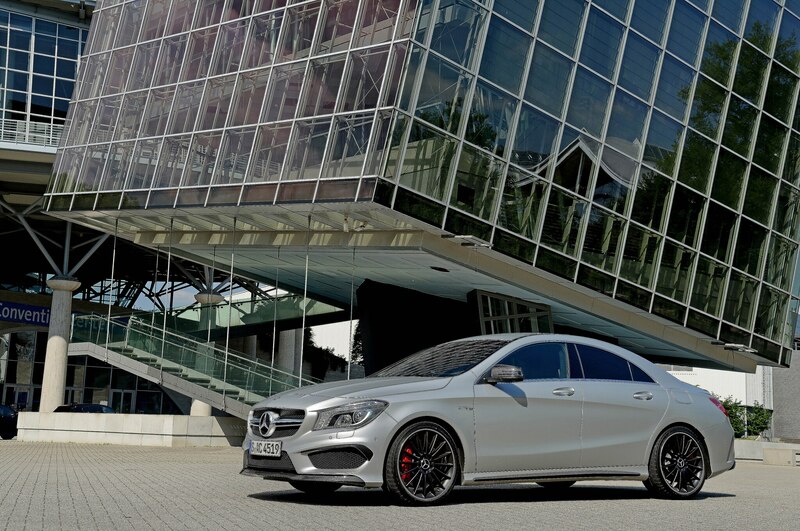 If the standard, 208-horsepower CLA already seems the year’s runaway choice for spoiled young people from Laguna Beach to Greenwich — with generous parents backing some of those monthly payments — the AMG version is for up-and-comers with more cash than regular Joes can imagine. 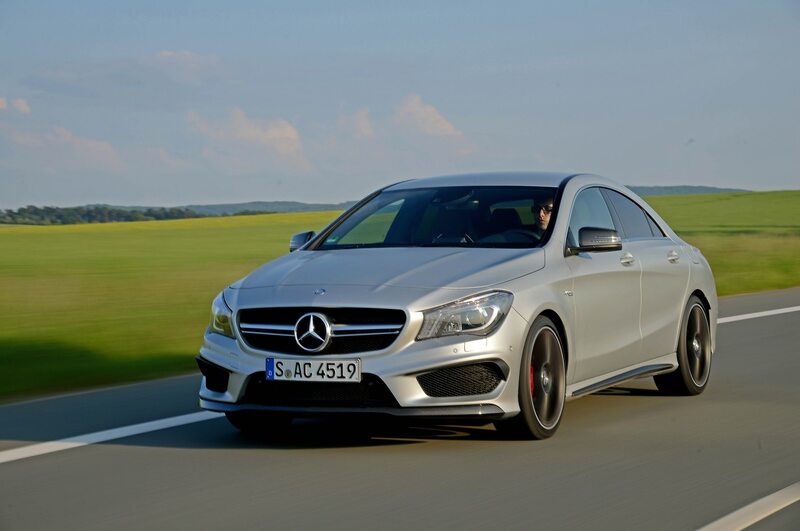 Mercedes sees the CLA45 as the gateway to AMG for ages roughly 30 to 45, its youngest customers yet. 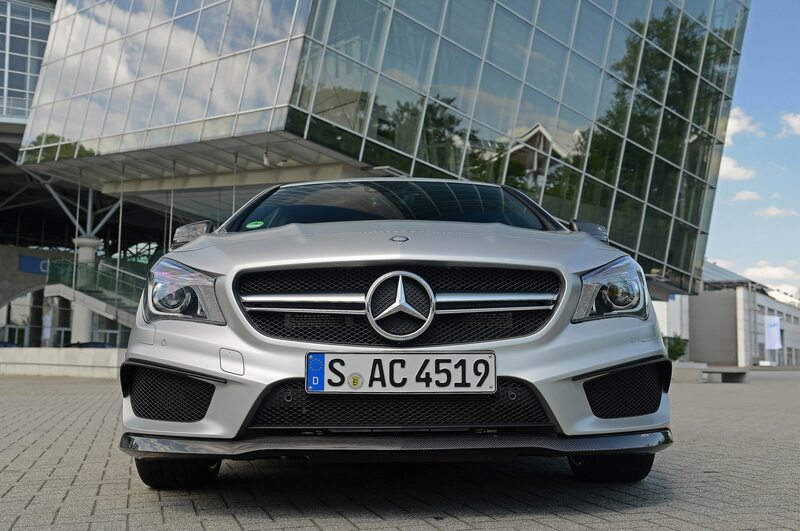 Certainly, it’s harder to see a typical 50-something AMG buyer drooling after this pint-sized chew toy; those buyers likely favor a roomier, more prestigious E-Class, CLS, what have you. But that was before anyone could imagine 355 horsepower from a Honda-sized powerplant. 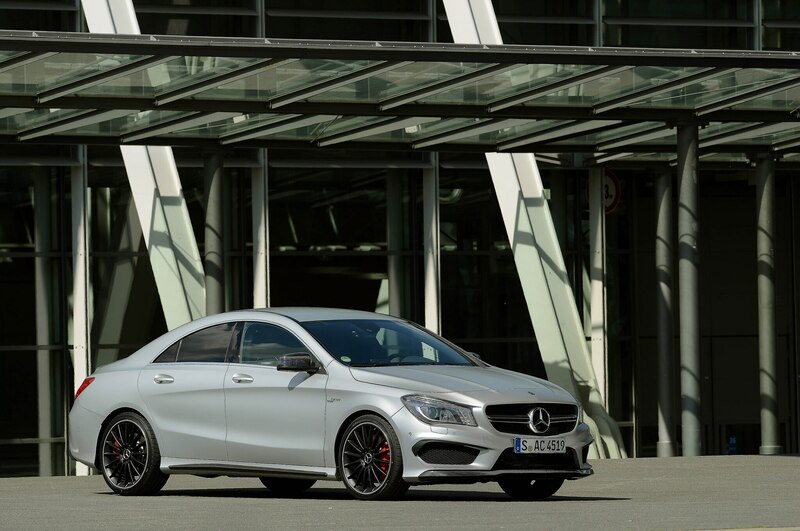 Now, that four-cylinder CLA will help run AMG’s lineup to a heady 30 models by 2017, the brand’s 50th anniversary — and to a 30,000 global sales target, up from 20,000 today. 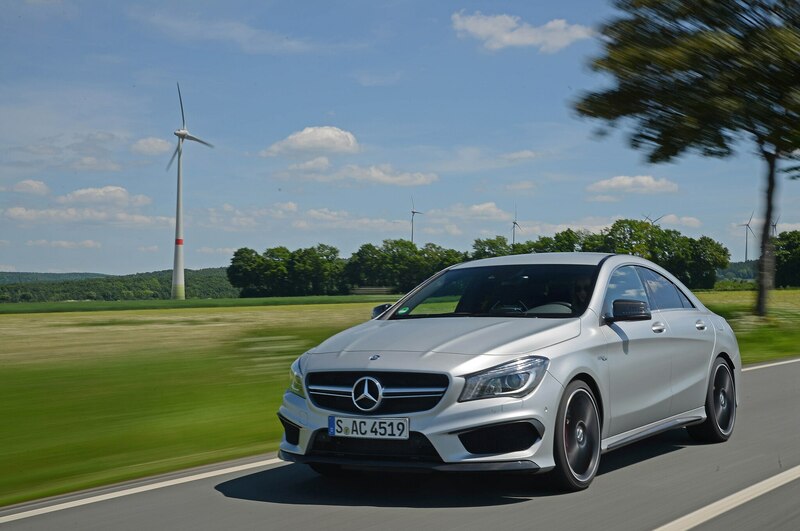 As AMG’s most affordable joy ride, don’t be surprised if the CLA45 carries its weight.